Hello and welcome to our website. 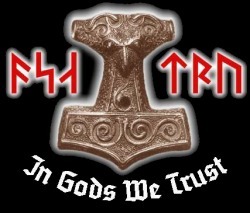 This is the official website for the Asatru Kindred "The Odinic Peoples Front." We are centered in Orange County and hope to find many pagans in the area. On this site we will post all Blots and other gatherings being held with all the info on them. If you have any questions send an email to magoroththegrim@hotmail.com. Welcome to this site and we hope you join this great kindred.